Ready for a little Beach House Decor? You've seen the outside, now here's the in!!!!! 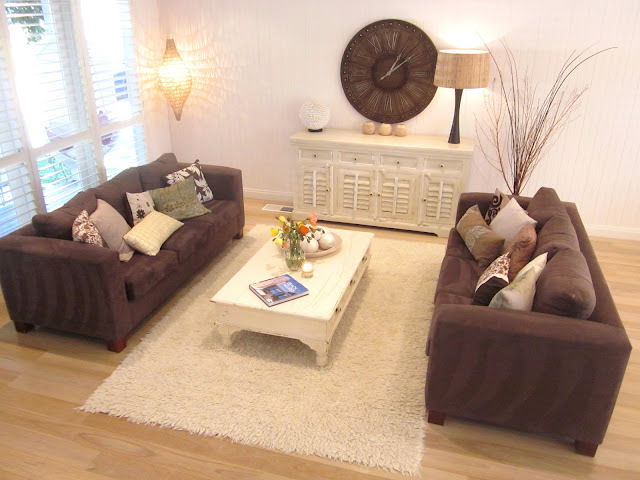 Today we are talking styling your house for sale or if you're not selling, styling to enjoy it to the max. What I'm going to say is so obvious, you know it already, but it is surprising how many open homes I attend and these simple measures, which can make a big difference, are not followed through. The house I am showing you today gets it right big time. Here I always advise my clients to go with white linen. If you are going to invest any money in styling your home for sale, I always say that good linen and cushions for the bedrooms are a good place to invest. 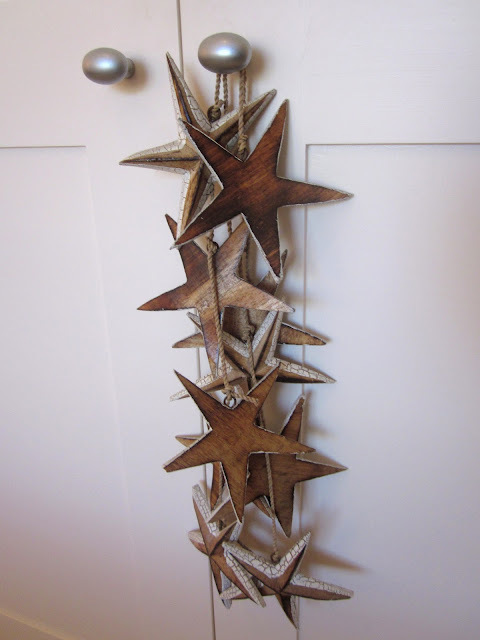 It's relatively inexpensive and easy to put together. It looks crisp, makes the room look bright, calm and more spacious. A throw or layers of folded quilts, can be used as a pop of colour at the end of the bed and tie in with layered cushions against the bed head or wall. Infact cushions are a great way to give the impression of a bed head, if you don't have one. Bedside lighting and furniture need not match. You can use vintage chairs and candles as an alternative, if you are not up for buying new lighting or furniture. 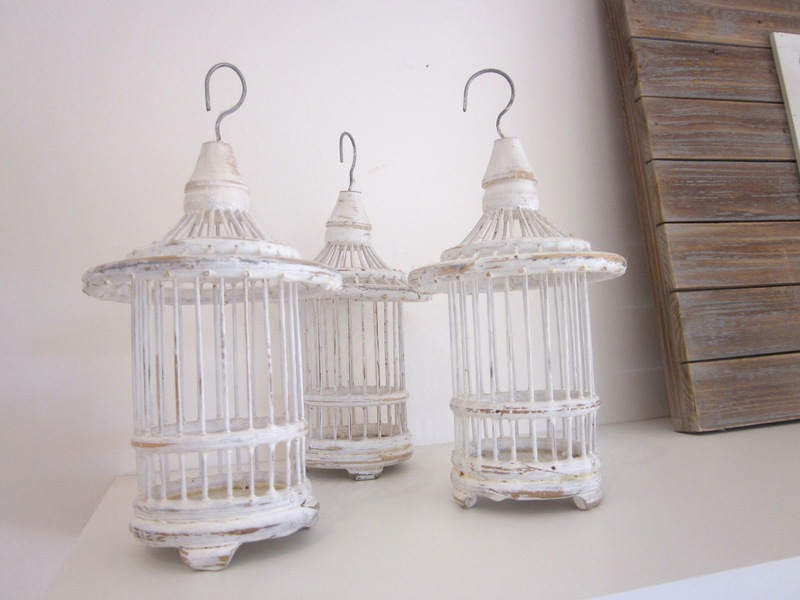 Even a high stack of beautiful interiors or vintage books beside the bed, with a light or candle can look lovely. And colour code your books as well. I recently did this with a client and she is still raving about it. 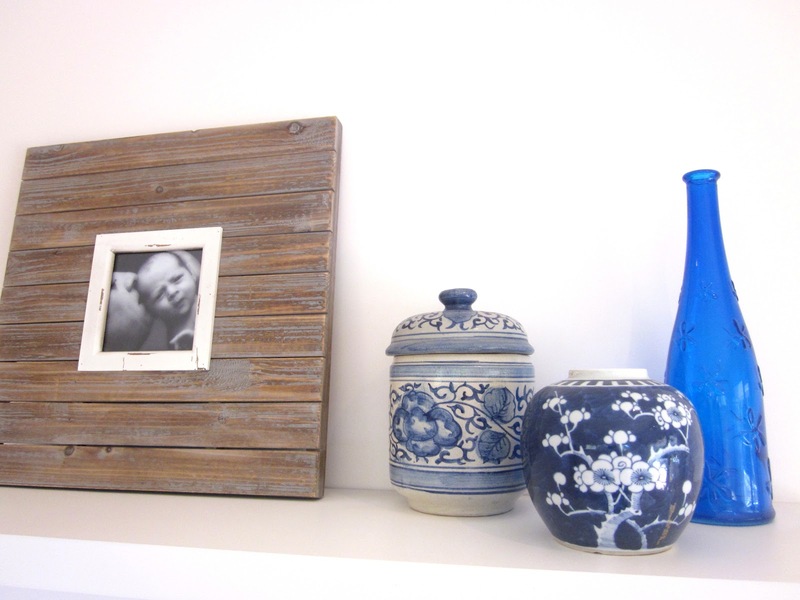 For styling vignettes, try and keep to a colour and always style in odd numbers. I think clusters of 3 or 5 are best. I think for boys rooms you can't go past red, white and blue for effect. Include bunting and cute art work and style shelving with cute toys that are in good condition and interesting. Use layered cushions in kids rooms as well. 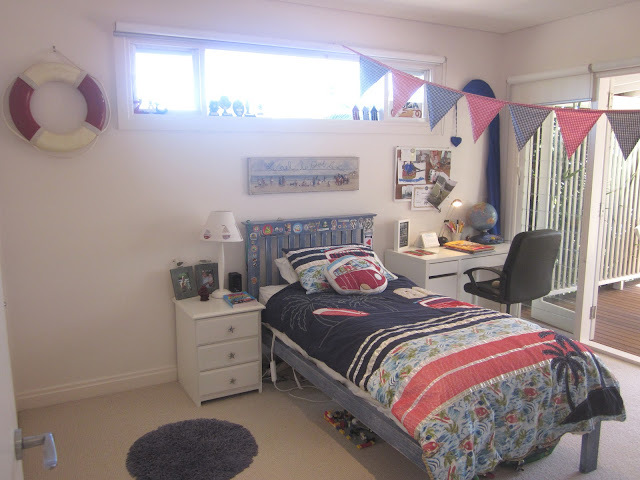 A cute little mat from Ikea is a good way to add layers of interest and colour to the room. 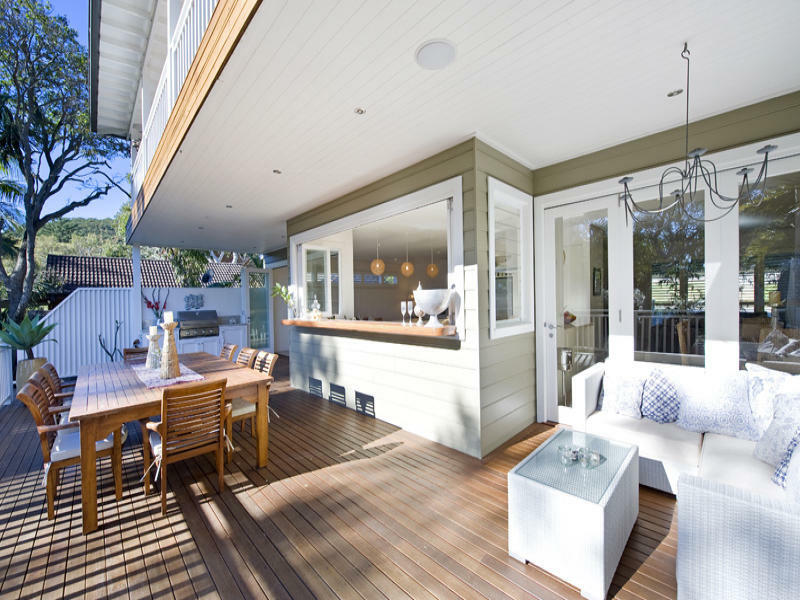 This is perhaps the most important space in Australian homes, considering the weather is usually good enough to live and dine out here for about 8 months of the year. They should flow from living areas through wide open doors and provide a variety of shaded and sunny options. 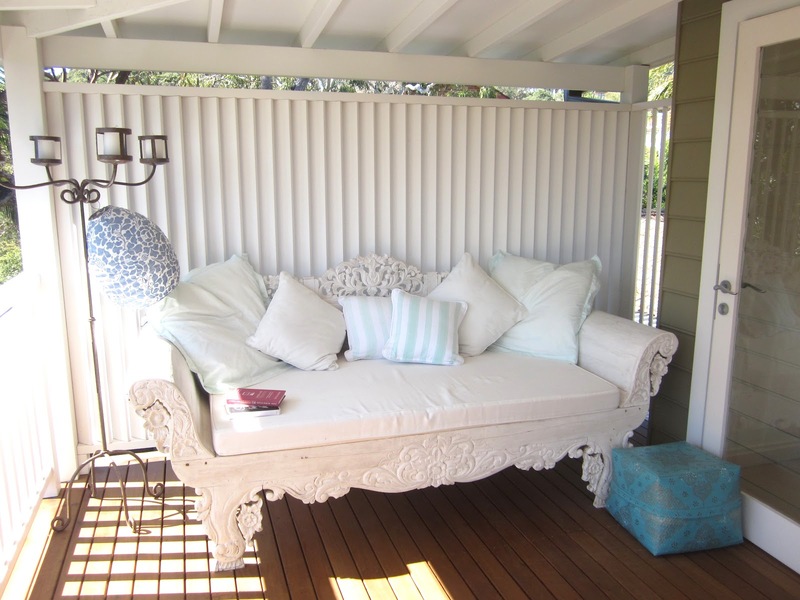 A beautiful day bed styled with cushions and books is so inviting and evokes feelings of 'must have' amongst prospective purchasers. I also love the standard candelabras and chandeliers in the external areas of this home. 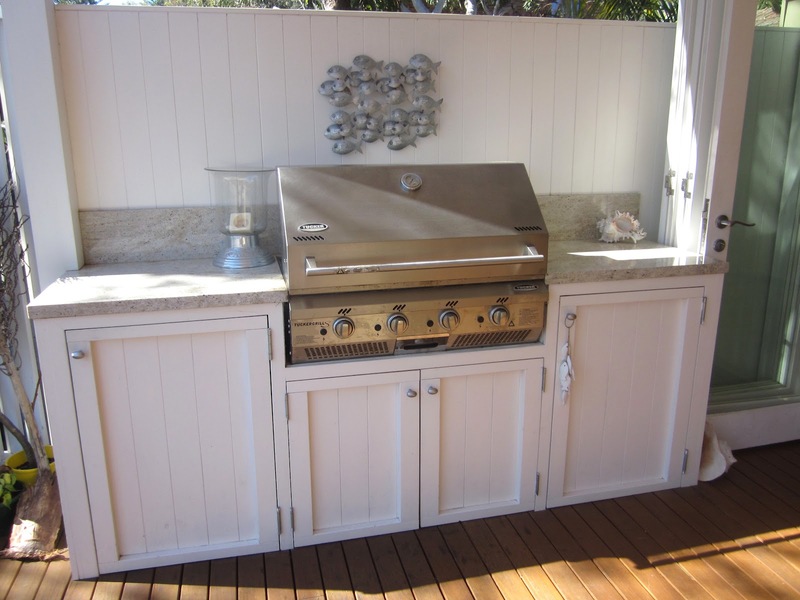 A built in BBQ with marble bench tops and simply styled with candles and shells is just so inviting and neat. 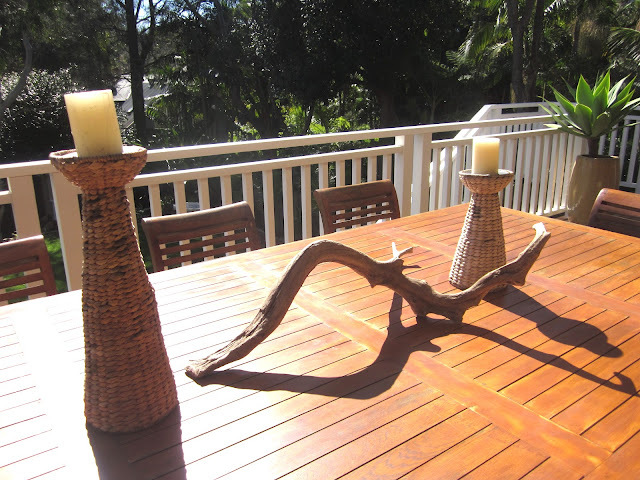 A couple of candles and an interesting piece of driftwood collected from the beach is an affordable and effective table dressing for an outdoor area. 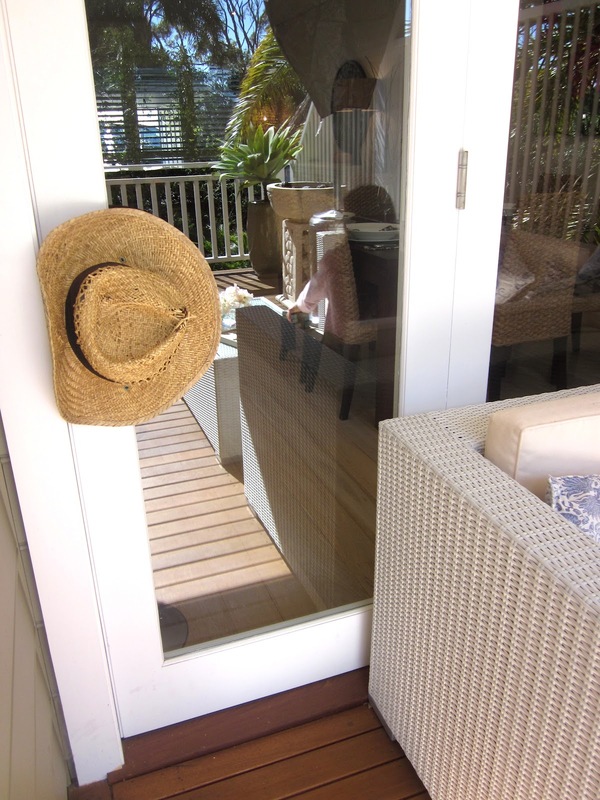 Even a straw hat tells a lovely story and again encourages purchasers to see this as their home. 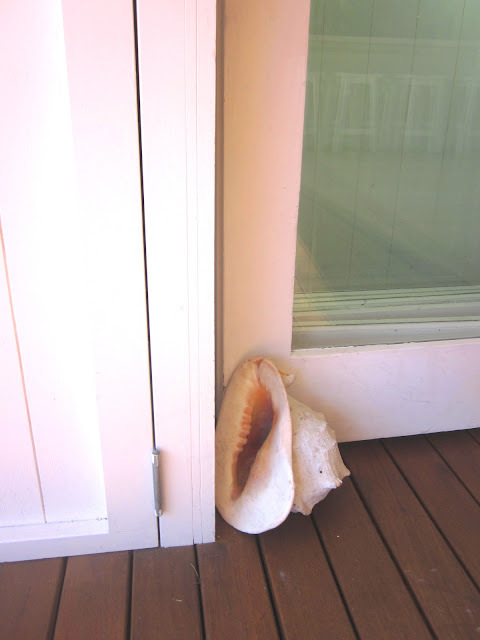 Something as simple as a shell door stopper can look fab too and give a beachy feel in keeping with the location of the house. If you have a large back yard, which will appeal to young families, make sure you give your cubby house a lick of paint. 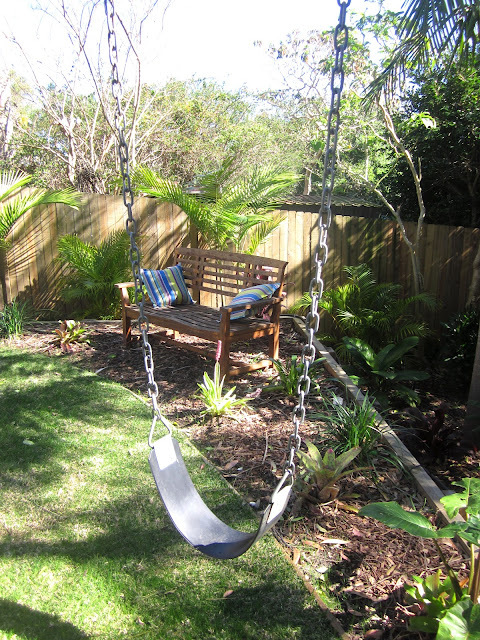 Stringing up some bunting and adding some simple art or pot plants can be very appealing to a future owner, looking for a kiddo friendly home. 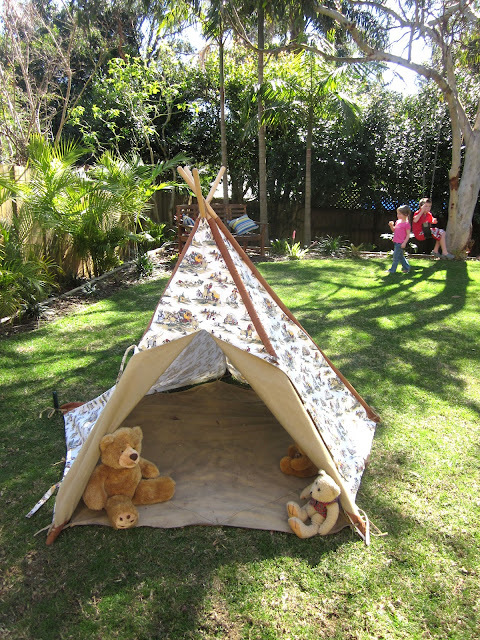 My kids adored this backyard and were kept very busy with all the installations out here. Giving me time to have a good look around unhindered. 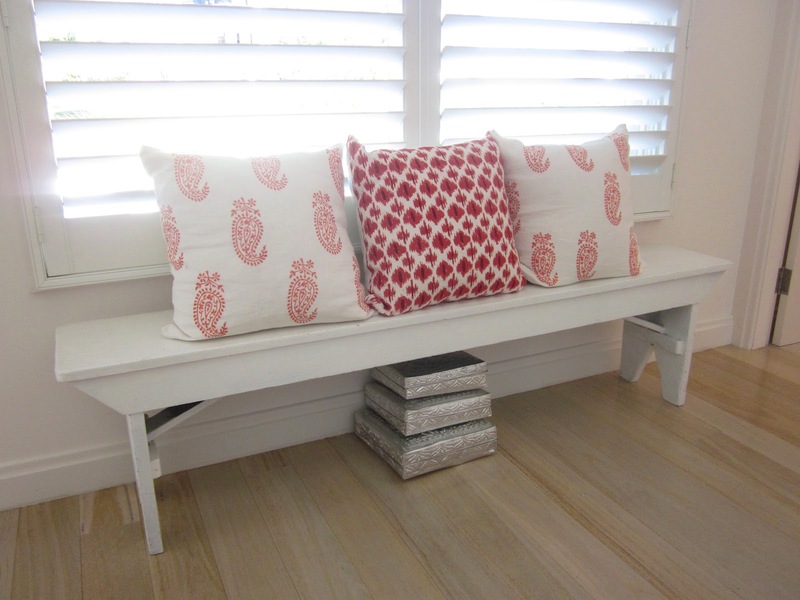 Just some simple cushions on an outdoor seat can add style and indicate the house is cared for. 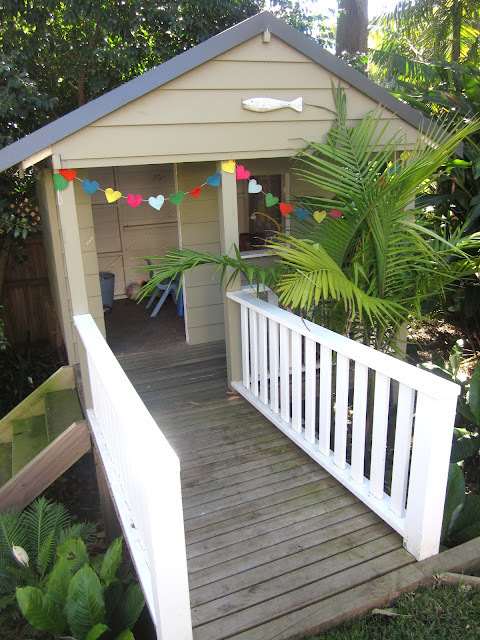 I thought this was a very cute storage idea for a carport. A large cupboard to store mowers and tools, which is as neat as a pin when closed up. Art work should be subtle and in character with the home. 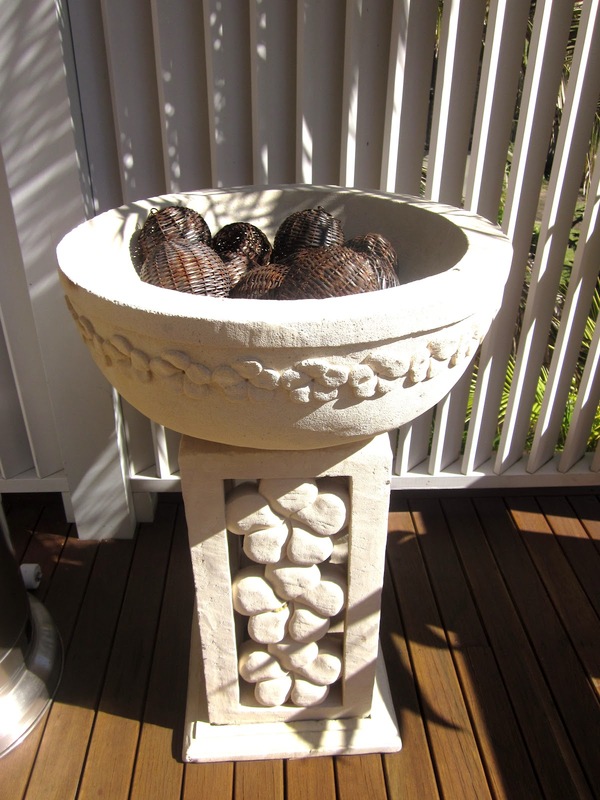 It need not be expensive, but should be there to add to the relaxed feeling of the home. 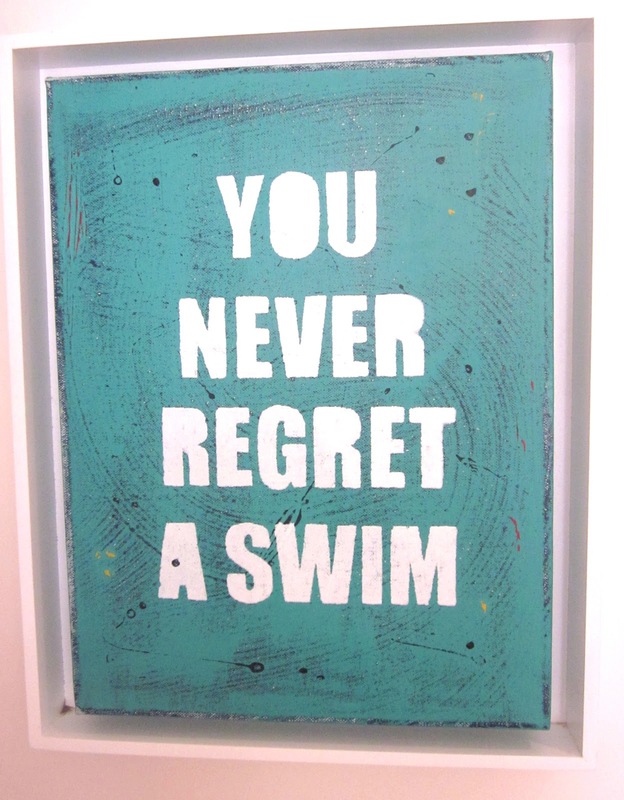 I love this mantra and totally agree with it. Roll on Summer!!!! It lets a buyer know they are in the right place. Perhaps the most important room in the house....for a woman anyway. I always say go white here, if at all possible. If you have dated cupboard doors and they are easily painted...... do it. They will look much better. I once bought a house with my parents with brown cupboards and a lime green bench top. Can't believe that became fashionable again a few years back. Believe me ours was the true 70's article and complete with nylon carpet, it was totes revolting. After we ripped up the carpet, we painted the cupboards white and kept the lime green bench tops, as the cost to replace them was not in the budget.. We added blue accents and it looked great actually for the little we spent on it.. We spent $26,000 renovating the whole house, that included a new bathroom and sold it for $355,000 more than we bought it for a couple of years later. Apart from brightening the kitchen up. The main thing here is to keep benches as decluttered as possible and it must be spotlessly clean. 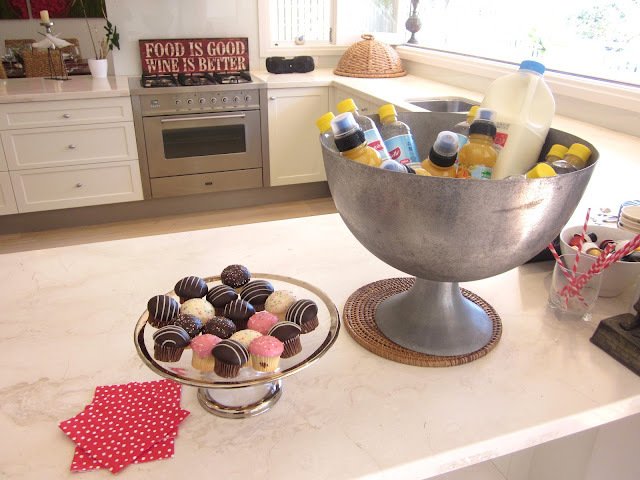 A new trend in Sydney, which I have lately seen at open houses, is a spread of coffee, drinks and cake for the attendees. Has that been something Americans have done for a while? I'd be interested to know. The idea is to get you to linger longer, take a seat and imagine this as your future house, which is the name of the game. The Beach House Brats got stuck in, which was a good excuse for them to stay outside too. 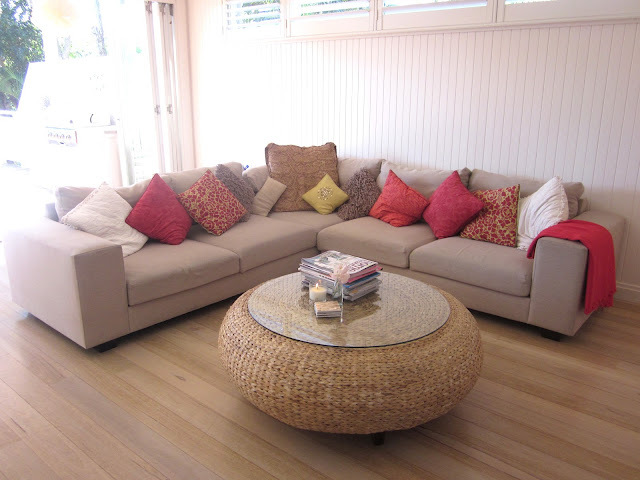 It's important not to over crowd these spaces if they are small, but there also needs to be enough seating for all the family members in the house. It can be a dilemma, but always remember less is more. These to rooms were both spacious and got the seating levels right. Styling a bathroom requires a selection of beautiful bath products strategically placed on the vanity and in the shower/bath area. 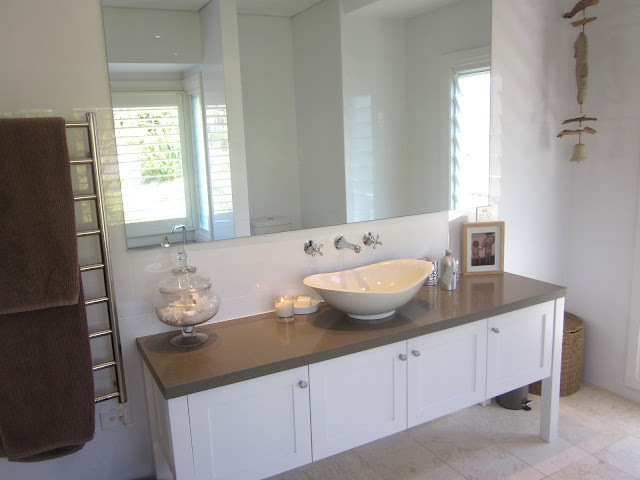 A bath rest can look lovely with some lovely products and rolled hand towels. Other things to include are fresh fluffy towels, used only for the open house, candles and a small vase of white flowers on the vanity. My 'white advice' applies here too, so if there's anyway you can achieve a quick white over with paint again, I suggest it be done. 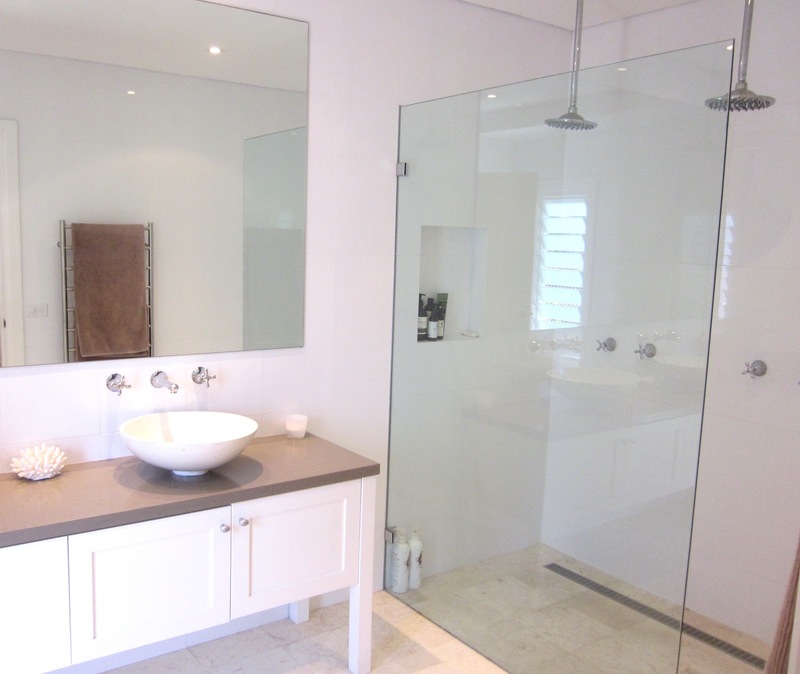 Even tiles can be painted white. This house is currently for sale. If you want to know more mail me. A lovely beach home. Bright, fun and family friendly! I live in Canada, in the Maritimes, and a "date" for us is going to open houses. I absolutely love going to them! Since we have been undecided whether to stay in our house or sell it, we have decided it made more sense, instead of going to open houses for same priced housing, to go to open houses for high end housing, to get some ideas to 1. Make our house more appealing to potential buyers if we end up going that route. And 2. To get higher end touches in our average, yet older home. All I can say is gosh, have we been getting ripped off, or something?! I have never been to an open house where anything was offered, not even a glass of water (huff!) Not sure what they do in the U.S. but I would love it if they started doing it where I am, lol! On a side note, we don't set up appointments to view any houses, because we don't want to inconvenient a real estate agent, or a home owner. We just go to open houses. Based on your post, I think we are headed in the right direction with our house, whichever way we go. Thanks!! 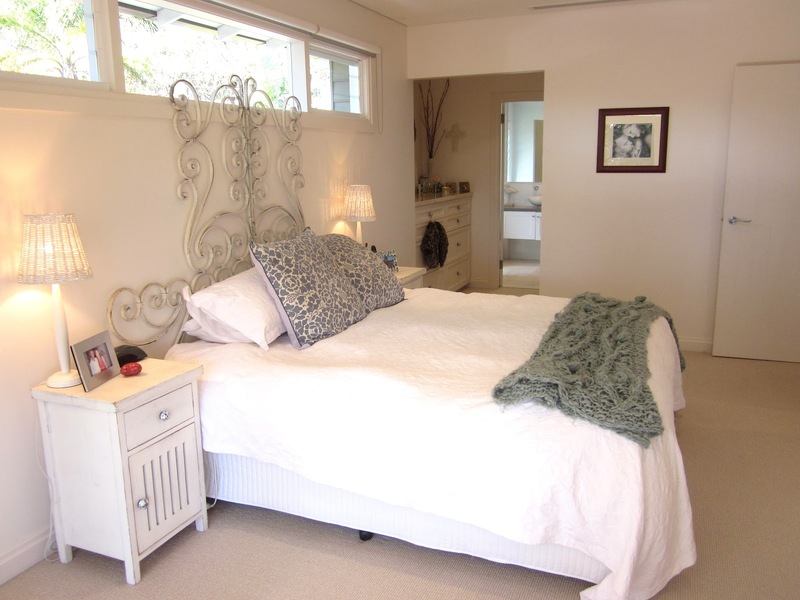 Lovely home- I would have gone for white fluffy towels in the bathroom too! 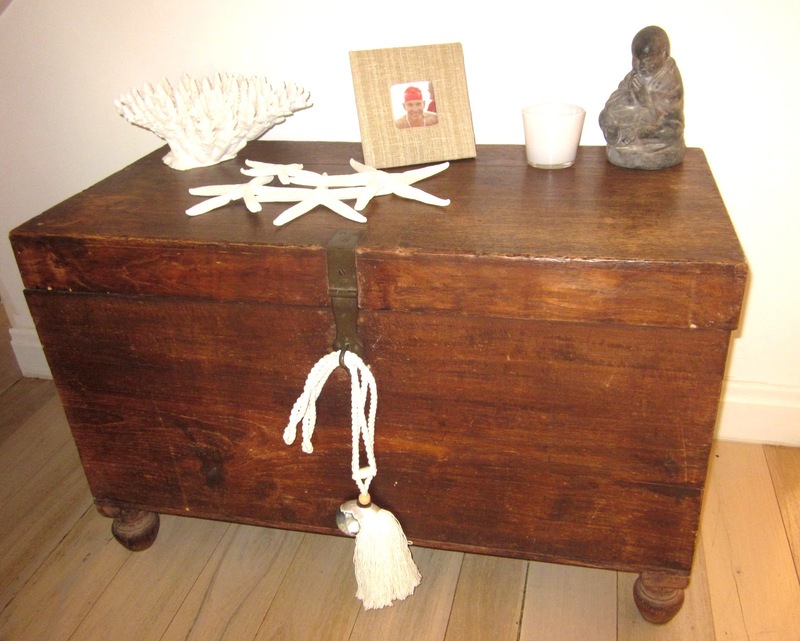 Thank you for sharing this lovely home at Potpourri Friday! This is styled to perfection but it looks real and lived in, not actually 'posed' for selling as some homes do. What a gorgeous home. My friend used the trick of baking a fresh loaf of bread on home open days to entice people into the kitchen, and it worked a treat! You did a beautiful job of showcasing this home. Fantastic elements and inpiration in this home. Beautiful house. 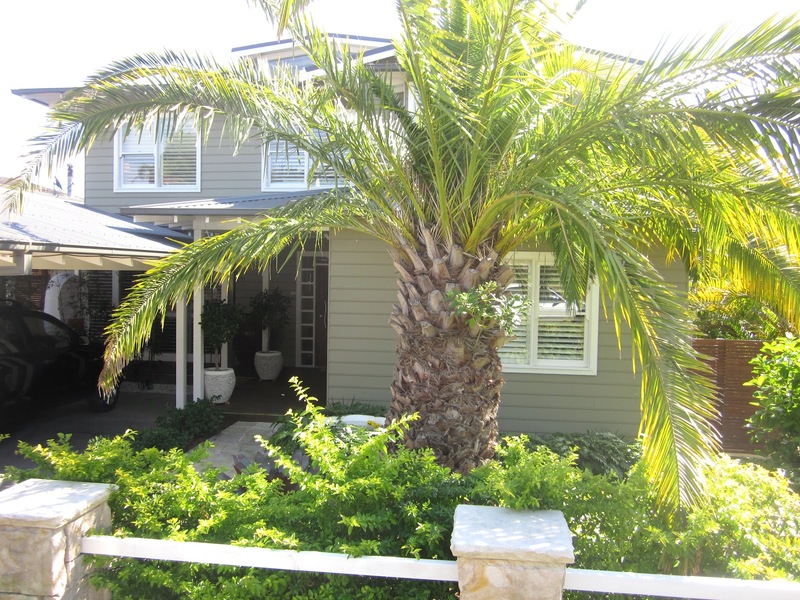 I love beach houses. I have a link party on Wednesdays, and I would love it if you would link this and any other posts. It is called Wednesdays Adorned From Above Link Party. It runs from Wednesday to Sundays. 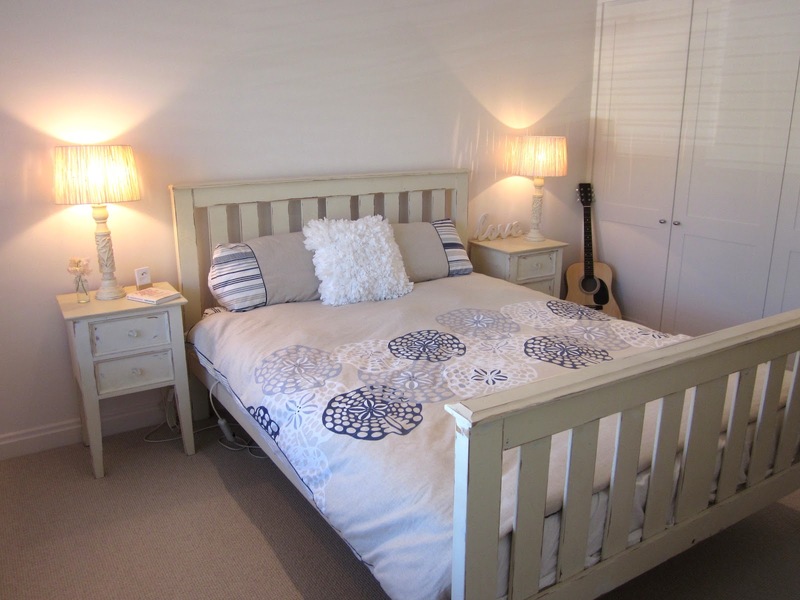 Lovely home and I love the bedding in picture #3, where did you get it? Beautiful! I could live there very easily, too!!! Staged to perfection! 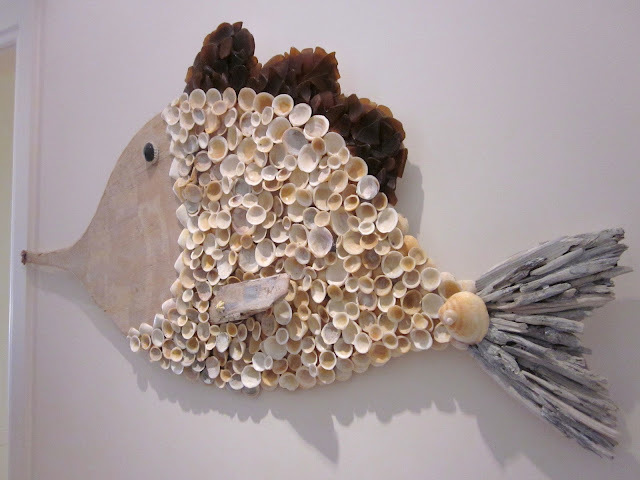 I love the house - especially the fish made from shells and the round glass-topped ottoman. Speaking as an American "catered real estate"; once generally utilized solely in more upscale real estate; has recently found its way to the average working class as sellers vie for a competitive edge in a struggling economic market. 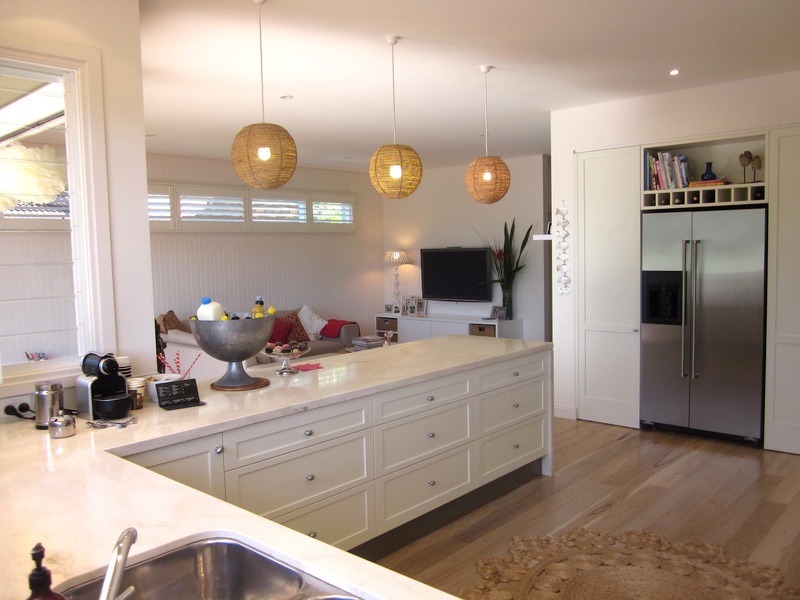 Providing a bit of food and drink in an almost "party-like" atmosphere allows perspective buyers to linger at the home longer and in doing so gives them more time to visualize themselves as future residents, so why not do it? Of course it might not be worth keeping your perspective buyers at the house longer if the neighbor's dog continually barks or traffic backs up around 5PM every day. If I were selling my home today I might also use my computer to make some mini-brochures that were tailor made to showcase my home's strong points as well as some facts about the area such as schools, entertainment, activities etc. You could leave those out in a pretty basket on a table by the front door and replenish them easily enough. If you're more adept you can customize a QR code for perspective buyers to scan into their smart phones that could launch photos or video of your home. It's a limitless selling tool designed to keep them connected long after they've finished the cookies and tea! Personal Note: Years ago before smart phones and fancy trends when we were selling my mother's house, a family of five arrived late on a Sunday afternoon on a very hot July day long after the open house had ended. They were tired, frustrated, and their kids were clearly at their patience limit. I offered them all some cold drinks and some snacks and realizing they probably hadn't had many opportunities to do so, I encouraged them to use whatever facilities they needed to make their day more comfortable. I hadn't done it to be trendy - it was just a small gesture of humanity from one mother to another. As we walked around we got to talking about the kids, schools, shopping... and I know that kind of personal closeness is usually a no no, but they came back that evening with an offer. She later told us that our compassion gave her a warm feeling about the house and our neighborhood. And when you come right down to it, aren't all the things we do in our home be it for ourselves or others designed to make us feel that we belong there? What a great way to utilize the carport space with the added cupboards! 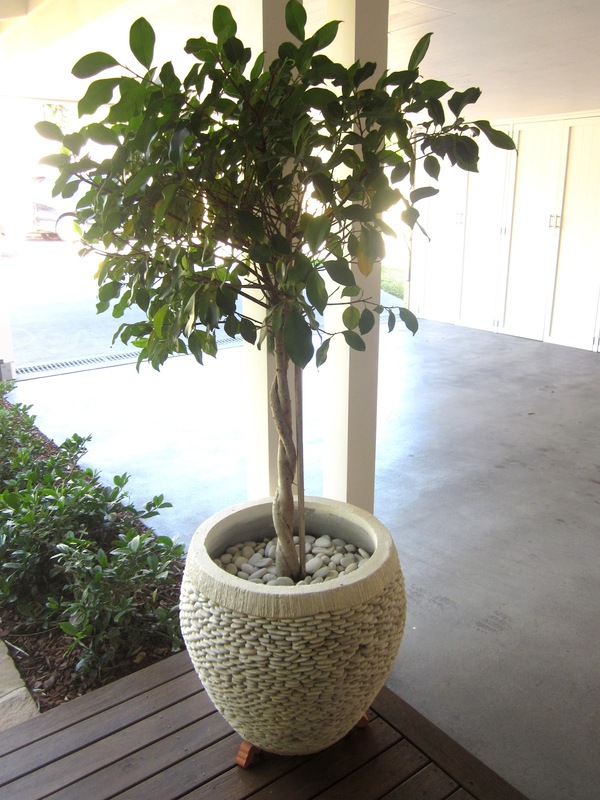 I've never even considered these to be possibilities when I decided to add one to my home. 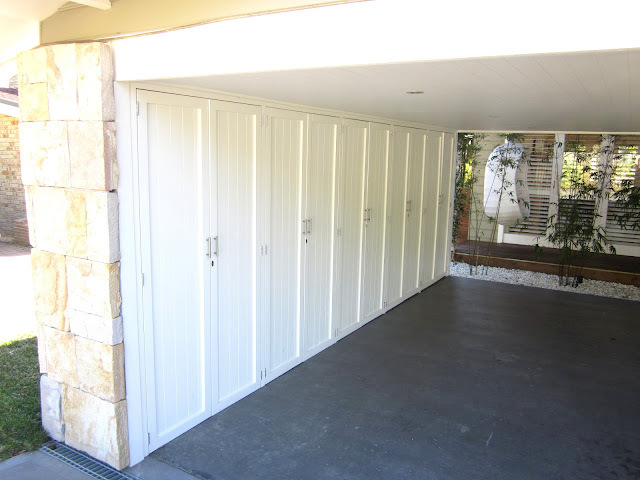 I'm currently in the early phase of picking carport designs with a professional, I will mention the idea to him. Thanks for sharing! What a beautiful home! 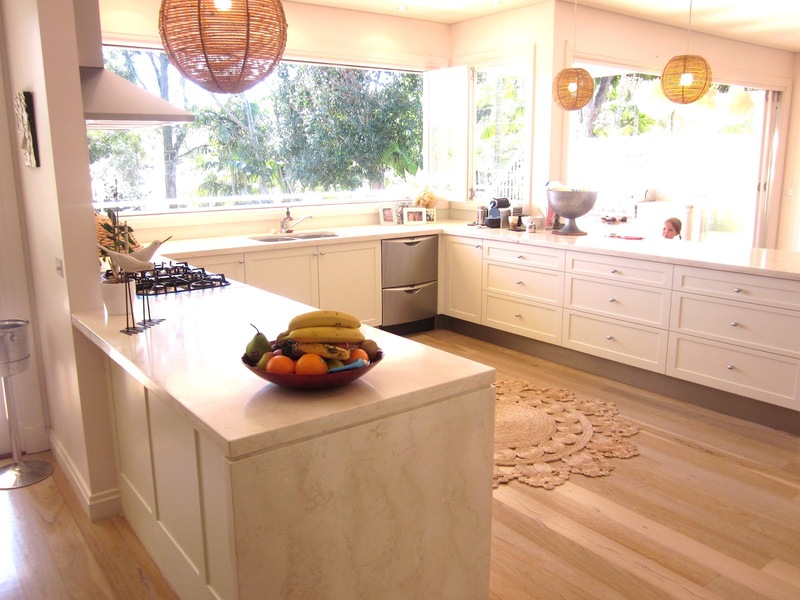 Would love to know what type of timber flooring you have used in your kitchen area and what type on stain did you use. Thanks for sharing! !